Born in the city of Valenciennes (département du Nord). Not much is known of his childhood but he must have excelled in his preparatory studies because he was accepted into the École Normale in 1855 where he studied physics. After achieving his lycées agrégation (teaching license) in 1858 he was assigned to teach in the remote Garonne countryside at the Lycée d’Agen. In 1860 he returns to Paris to study for his doctorate. He enrolls once again into the École Normale, this time coming into the sphere of Louis Pasteur. 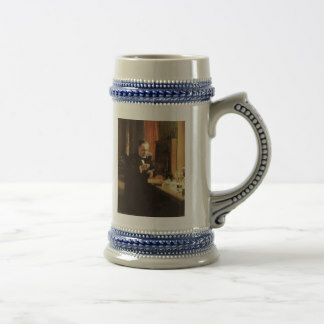 Over the next 5 years, his relationship matures with the well known chemist, assisting him in the laboratory in the Rue d’Ulm as well as spending his summer vacations with him in Arbois. In Paris he was learning about the advances in optical physics, while in the summer, he was learning about the ferments of wine and vinegar. In the early 1860s Pasteur was studying wine, but remains engaged in his passion for crystallography through Gernez, who was writing a doctoral thesis entitled, ‘Researches sur le pouvoir rotatoire des liquids actifs et de leur vapeurs’ (Researches on the rotary power of active liquids and their vapors). In this report, he introduces a brilliant way of separating the active components of par tartaric acid by using a crystalline decoy. He found that a right-handed crystal will attract right-handed molecules in the super soluble solution, and the left ones, left. This was a convenient short cut for the preparation of par tartrates which Pasteur used from time to time. He insisted that Gernez’s thesis be published in the first issue of the ‘Annales scientifique de l’École normale’ of which he was the editor in chief. As a doctor Gernez is sent to Dijon to teach secondary school. In the summer of 1865 he and Maillot accompany Pasteur to the country for intense study of the silk worm disease. 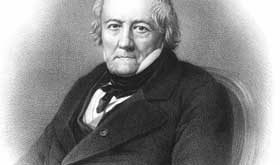 His experiments were directed by Pasteur and served him only as a control for his own meticulous experiments. In 1866, Gernez is made an assistant in the Paris Observatory but also transferred to the school district of Marsailles, far from Paris and his beloved mentor, but is back soon enough to fill a vacancy at the Lycée St. Louis. 1866, in his own laboratory, Gernez carried forward the research on silk worm disease, known as pèbrine. He concluded that the malady was corpuscular, while Pasteur held out the possibility that the disease might have been parasitic. 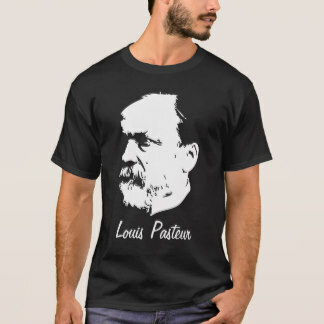 Pasteur was known to be slow in accepting conclusions, tirelessly looking for an exception. He held out for another year before accepting the corpuscular theory, even though he already presented two papers on the disease to the Academy where he argued from a corpuscular view. Duclaux believes he was finally converted to the latter opinion in 1867. 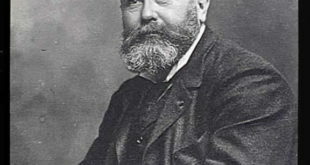 Pasteur suffers a stroke in 1868 and Gernez devotes himself fully to the care of his master, settling in Paris for good. He secures a better position at the Lycée Louis-le-Grand. He resumes his function at the summer home of Pasteur where the work on silk worms was more crucial than ever, because sericiculture was such an important piece of the rural economy. 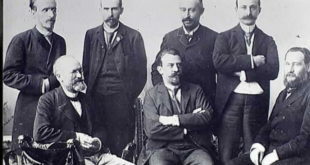 During these retreats, Gernez and Maillot were the hands and feet of the weakened Pasteur. Over the years, M. Gernez became more and more involved in chemistry, eventually succeeding to Professor of Chemistry at the École centrale de arts et manufactures, in 1873. Later he is promoted to Maitre de Conférences at the École Normale. For the centenary of the École, in 1895, he wrote a mémoire of Sainte-Claire-Deville. In 1905 he was inducted into the Pasteur Institute along with his colleagues Picot, Van Tiegham, and Joubert. In 1906 he was elected to the prestigious Academy of Sciences.